Like Sarah, I, too, have been doing a lot of nutrition reading. I reached a point of enormous frustration last week, when my weight continued to hover at its highest-ever point in spite of the fact that I have been strenuously calorie-tracking and exercising for the last month. In fact, with some breaks here and there, I’ve been calorie-tracking and exercising regularly for the majority of the past 4 years. As far as I can tell, all I’ve succeeded in doing is slowing the rate of weight gain. The fasting thing I was doing for awhile last year was effective, but it just isn’t practical when I’m living with another human being who likes to eat regular meals. So a little over a week ago I picked up a book I bought awhile back but hadn’t read. It’s Why We Get Fat by Gary Taubes, and it basically blew my mind. He destroys the calories-in/calories-out weight loss model, and explains why some people’s bodies will do just about anything to keep from giving up the fat in their fat cells. In rat studies, they’ve found that obese rats’ bodies will starve their brains of energy before they start using the fat in their cells. So based on that book and a lot of studies I’ve read up on, I’ve started a ketogenic diet. It’s a low-carb, high-fat, moderate-protein approach to eating. 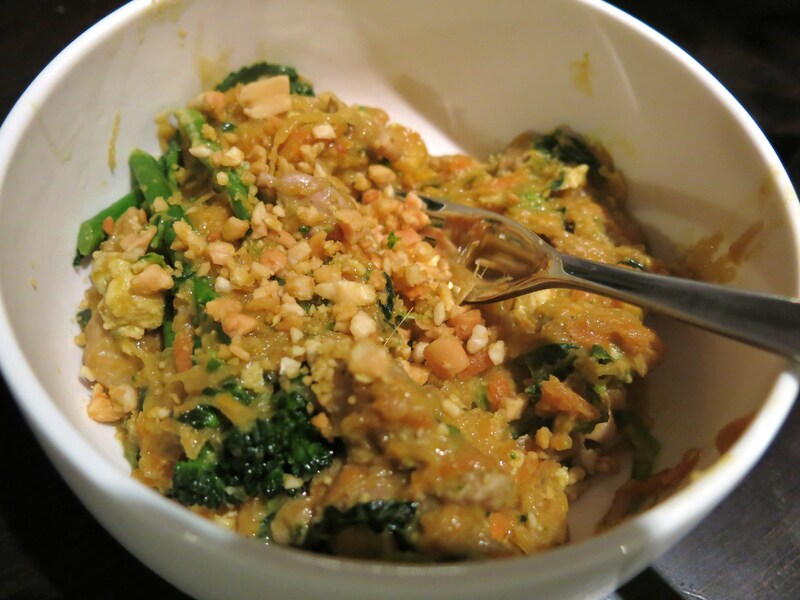 It has a lot of overlap with paleo – lots of people eat a diet that is both paleo and keto. I’ve gone a week now without any sugar or grains. I get my carbs (20-30g per day) and fiber from non-starchy vegetables. I’ve upped my fat intake. And so far, it’s been awesome. I’m never hungry, even though my caloric intake has actually fallen. And I lost 7 lbs in the first 5 days. I know that it’s partially water weight, and I don’t expect it to keep up at that pace, but my waist is definitely shrinking and my clothes are fitting better. I realize it might sound kind of extreme, but all moderation ever got me was an average gain of 10 lbs per year for the past few years. And I swear it isn’t crazy; Sweden recently put together a committee to examine the scientific literature and determine the best diet for weight loss. They ultimately recommended a high-fat, low-carb diet. Here is a great literature review of the uses of a ketogenic diet beyond weight loss, which include reducing likelihood of heart disease and type 2 diabetes, and possibly guarding against Alzheimer’s and cancer. Here is a smattering of what I’ve been cooking up this week. 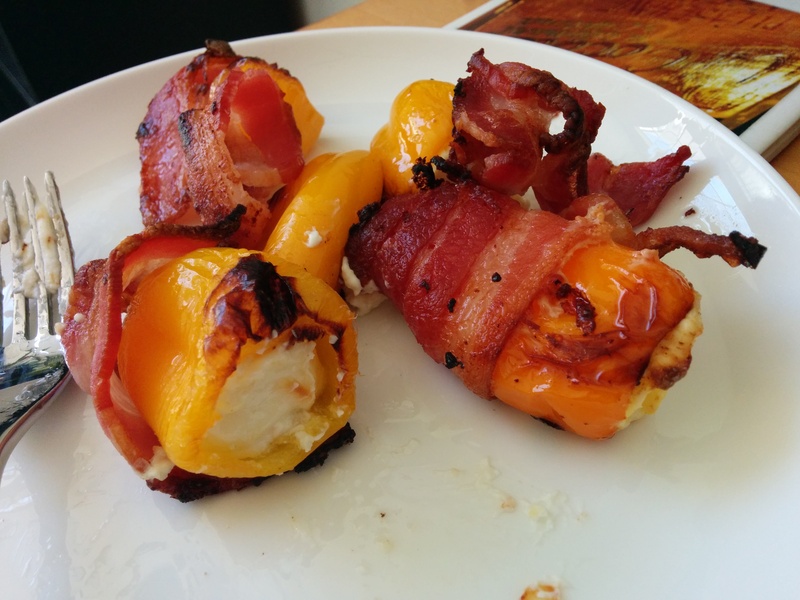 Mini bell peppers, stuffed with cream cheese and wrapped in bacon, then broiled for 20 minutes. Roasted brussels sprouts and mushrooms in a cream sauce. 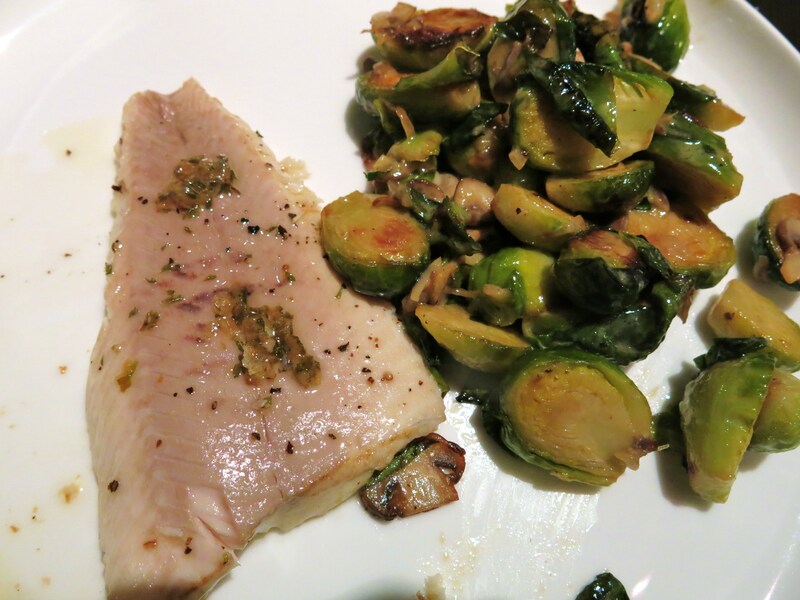 Trout in a browned butter and herb sauce. 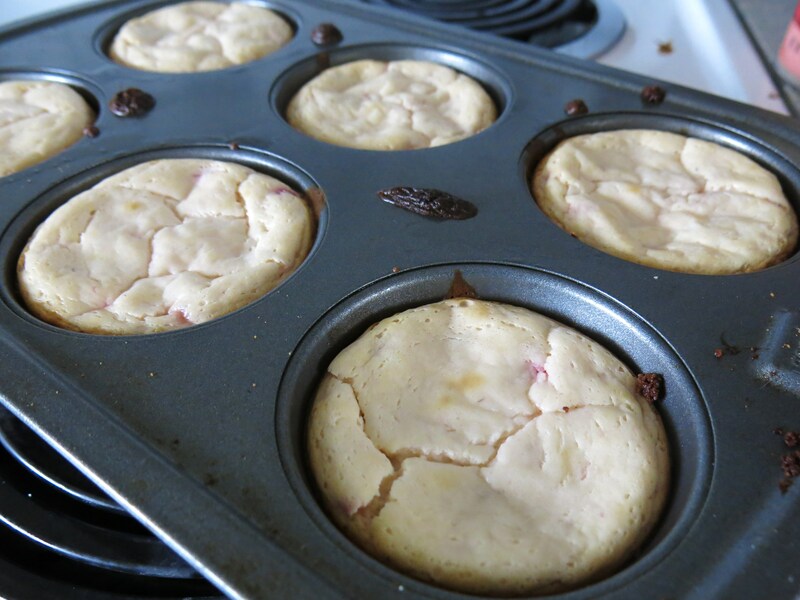 Mini strawberry cheesecakes with stevia and an almond flour crust. 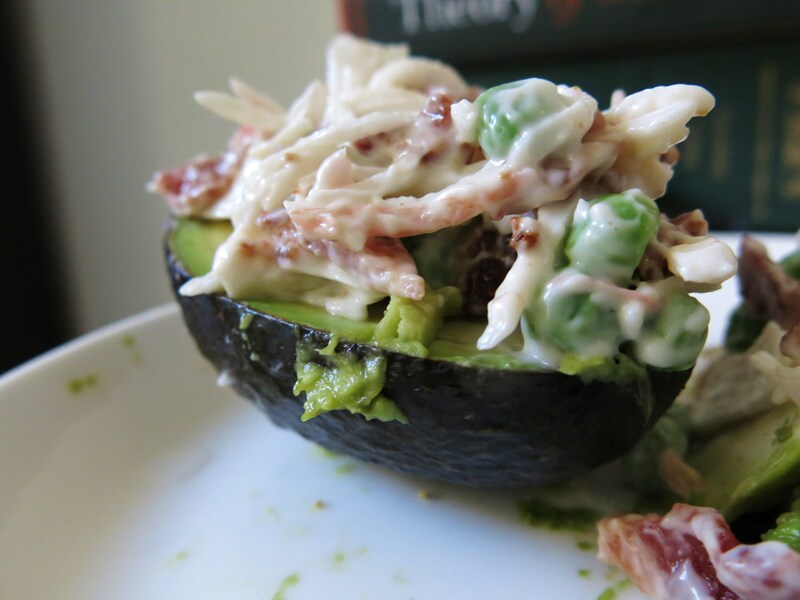 Avocados stuffed with surimi, bacon, and peas. 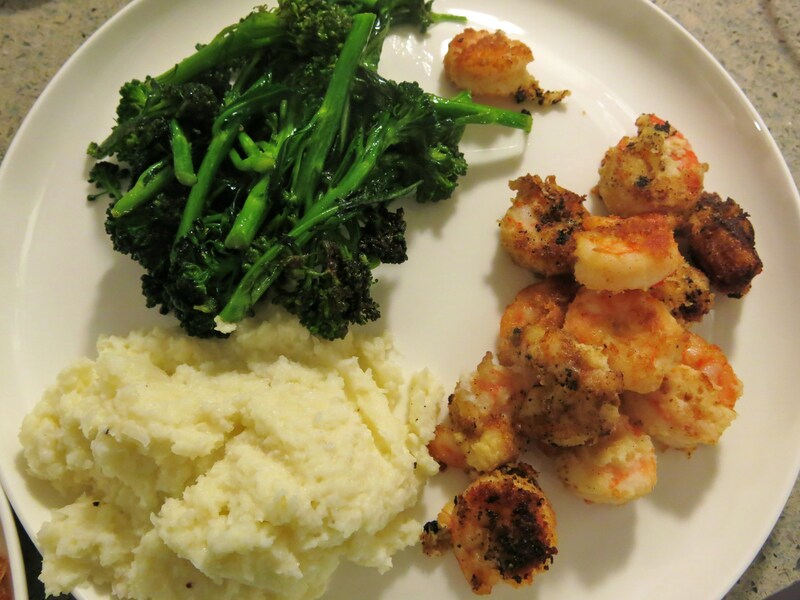 Coconut shrimp with mashed parmesan cauliflower and sauteed broccolini. Let me just say that this is the most delicious diet I’ve ever been on. And while I hope to eventually be able to reintroduce some sugar and grains into my diet, I’m having fun cooking with SO. MUCH. FAT. while also losing weight. 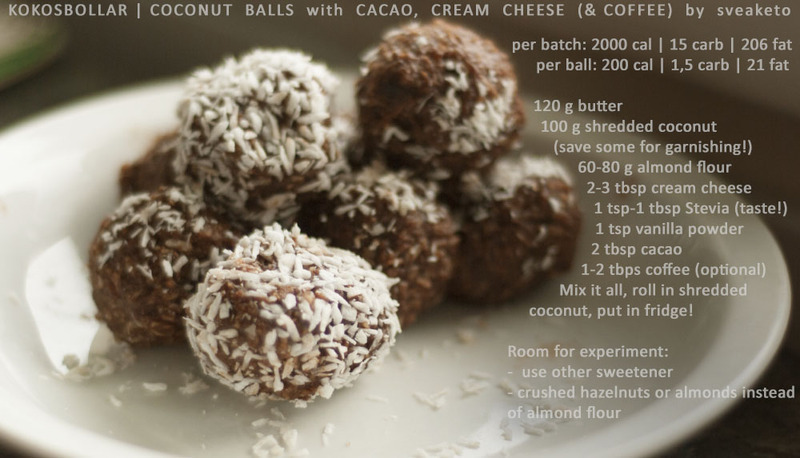 Sarah, please keep the paleo recipes coming! Go (paleo/keto) ladies, go! 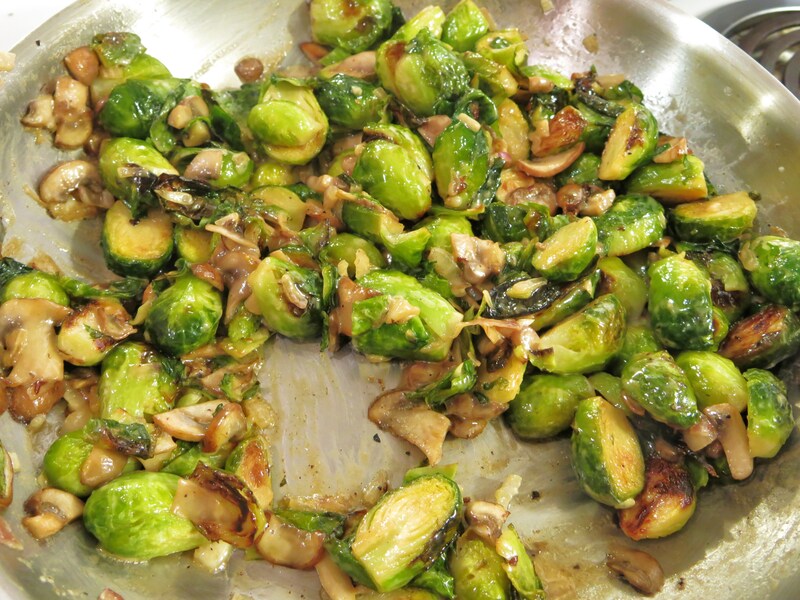 Those brussels sprouts look delicious, although picking and choosing from your high fat recipes (cream! CREAM CHEESE STUFFED PEPPERS WRAPPED IN BACON YUMMMMM) while continuing with my normal carb/sugar diet is probably not a good plan for me. Bring on more cauliflower recipes please! I know your parents did Atkins several years ago, right? Do they still do a lowish-carb diet? Have they been able to maintain the weight loss? Atkins is basically a systematized and branded form of a keto diet, so I’d be interested in hearing about their experience. Those peppers! They look so good. It’s probably just the bacon, but mmmm….Also, what is surimi, the thing that’s inside your avocado? Sounds intriguing! I’m glad you’ve found something that you like and that you feel good about. I know you eat really differently than I do, but do you ever feel hungry with this diet? There are days when I’ll eat all sorts of food, but still feel starving until I get some good old-fashioned starchy carbs into my diet (and not from veggies! From bread, pasta, rice, anything like that). Our parents did do Atkin’s several years ago, but I wouldn’t say they maintained the weight loss. Our dad is actually doing intermittent fasting now, and really likes it, mostly because it’s working. He keeps saying, “success begets success.” They have adjusted their food, though – when we’re not home, they hardly ever eat bread, crackers, cereal, etc. And every morning for breakfast, they eat an egg white scramble with veggies, which is a remnant of their Atkins days for sure. Surimi is imitation crab. It’s made from fish. It’s often found in cheap sushi. This week, though, I’ve experienced no hunger, while taking in a slightly lower number of calories than usual. I’m often not even hungry for dinner. All I’ve eaten today is half of a large, full-fat-dressing-soaked salad with a couple ounces of salmon, one of those little chocolate kokosbollar balls for breakfast and one of the mini cheesecakes as a snack. It’s 5pm, and I probably won’t want dinner for at least another hour or two. That’s cool your dad is doing IF. I really liked how fasting kind of reset my estimation of how much food I actually need to eat. It’s disheartening they couldn’t maintain their loss, though. Maintenance seems to be the hardest thing – maybe even harder than losing. I’ve certainly never been able to maintain weight loss for long. If I’m able to reach the weight I want to on keto, I’ll probably slooowly reintroduce carbs to see how much I can have without regaining. Maybe do a fast once a week or so, too. I just put a hold on that book at the library. I’m excited to read it! It’s an interesting adjustment to adding carbs back in, as I’ve done since finishing off my whole 30. I sort of went overboard with brownies and carbs this past week to try to figure out how they affect me, and judge my weight gain from them. I had much less energy, was hungrier/got that bored snackish feeling, my carpal tunnel came back and I didn’t sleep as well. So something was definitely off, or many things. This is inspiring me to go back to using the Whole 30 as my baseline diet, probably staying on it 80% of the time with 20% off, for things like corn tortillas, cheese and paleoish baked goods, and the occasional treat out or beer. That seems like a good balance for long term maintenance. I definitely think for me, low carbs but not too low is the way to go. I found out if I go too low I tend to get bitchy and irritable, so look out for that. It took Jeff noticing the connection and pointing it out to me for me to realize that was the problem (I’m guessing I had low blood sugar?). Sweet potatoes are my main starch now, along with a few other starchy veggies. By the way, all of these meals look AMAZING and I want you to cook for me. That’s super interesting about your carpal tunnel! I have it too, but it doesn’t flare up regularly enough for me to have noticed if it’s improved this week. I’ll have to start paying attention. That sounds like a sensible maintenance plan. I would definitely like to reincorporate occasional beer and tortillas eventually. I will miss out on a lot of great food here if I can’t have tortillas. Also, I love corn. I haven’t noticed increased irritability yet, but I’ll have to ask Colin if he has. Haha. I’ve started reading another Taubes book, Good Calories, Bad Calories. It’s got a lot of the same info as WWGF but in waaaaay more depth. It’s, like, 600 pages long. We’ll see if I manage to finish. I’m pretty sure sugar makes the carpal tunnel flare. Like I noticed my hand would go numb just from blowdrying my hair and I had forgotten that it used to do that but stopped when I went full Paleo. And I woke up with numb hands a couple of nights as well this past week after eating sugar. I think I started to red Good Calories, Bad Calories a while ago on my kindle and got burnt out rather quickly on it.